There are places too good to be true. They may exist in novels, in films, but in reality? 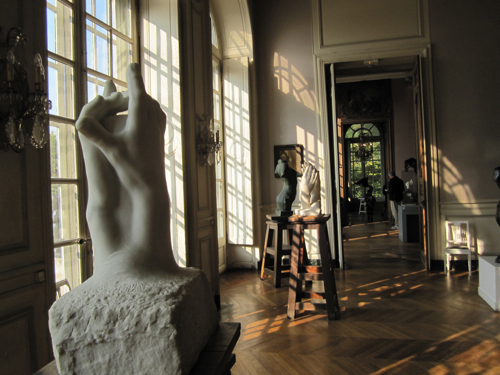 The Musée Rodin is a place like this. We are talking about a huge 18th century mansion called Hôtel Biron filled with sculptures, casts and sketches of Auguste Rodin, the acclaimed father of modern sculpture. 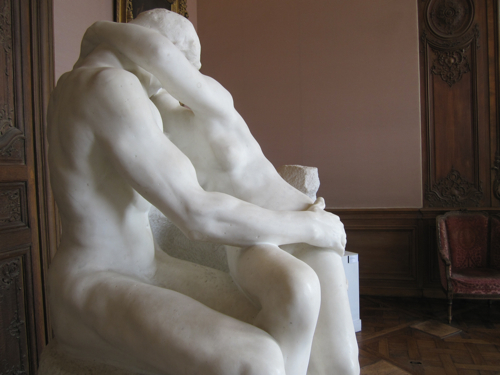 The Rodin Museum is definitely one of the most romantic places in Paris. Why? Certainly because of The Kiss, his famous sculpture, a timeless quintessence of passion. But it’s also the atmosphere inside the house and the stupendous gardens outside that makes this place a perfect terrain for romantic rendezvous. The mansion itself and the decoration look as if time has stood still for at least a century. Everything is a bit dusty and neglected in a nice way. Is Auguste Rodin having breakfast with Camille Claudel next door? Everything seems possible here. After all, it might just be the genius loci, the spirit of the place you can feel here. The house itself, built by Jean Aubert in 1730, has a long history. The most austere part was, when it was it was handed over to the Société du Sacré-Coeur de Jésus in 1820, devoted to the education of young girls of aristocratic and noble birth. When it was finally confiscated as a result of the application of the law separating Church and State property in 1905, it looked like no more than an empty shell surrounded by derelict grounds. Although the intention was that it should be demolished, in the meantime it served as a temporary home to an impressive number of artists: Jean Cocteau, Henri Matisse, lsadora Duncan who had her dancing school here as well as Rodin who, on Rainer Maria Rilke’s advice, took up residence in the suite of south-facing drawing-rooms in 1908. Although he carried on living and working at the Villa des Brillants in Meudon, Rodin was enchanted by the beauty of the house and the wild charm of the grounds. 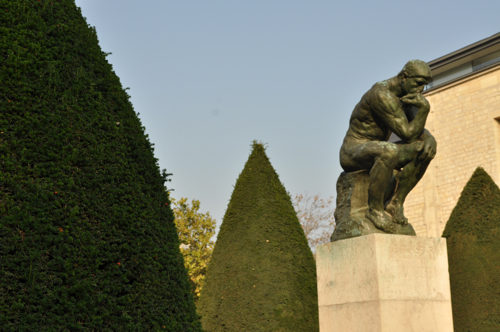 The Rodin Museum actually possesses about six thousand six hundred sculptures shared between the Hôtel Biron in Paris and the Villa des Brillants in Meudon. When the Museum was first established, it was decided to exhibit the finished marble and bronze sculptures in Paris, while the plasters would remain in Meudon as a testimony to the genesis of Rodin's works. The situation has not changed much since then. At the Hôtel Biron you can admire the major works of the sculptor. They are all here: The Thinker, The Burghers of Calais, The Kiss.